One of the changes that occurs commonly with time and especially with pregnancy is that the breast tends to droop. Often this a woman’s main concern, and restoration of their youthful shape is the main goal. Sometimes this is associated with a loss of breast volume and breast lift (also known as breastlift or mastopexy) can be combined with breast augmentation. Lifting the breast does require some visible scarring, although every effort is made to minimize this. Different techniques are used to correct different degrees of drooping (ptosis) of the breasts. The details of what will be required in your particular case will be explained in detail by Dr. Green at the time of your consultation after he has examined you. 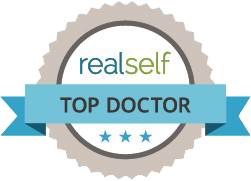 Dr. Green is very meticulous and careful in his surgical technique and has achieved excellent results with the Breast Lift operation. This operation is usually performed in an Outpatient Surgery Center and the patient goes home thereafter. Dr. Green does not usually use drains for this procedure and all sutures used are dissolving sutures. Extensive instructions are given for the postoperative care. Dr. Green usually sees his patients in the office several days after surgery to change the dressings and to check on progress. We maintain close contact with patients postoperatively by telephone and if there is ever any concern or question Dr. Green makes himself available for direct consultation and reassurance. Recovery from this procedure is generally minimal and the results are highly satisfactory. This procedure has a high satisfaction rate because it improves the body shape as well as the confidence that goes along with it. If you are interested in this procedure it is a good idea to schedule a consultation well in advance, because the block of time that is needed to do the procedure requires advanced scheduling.